I'm with you littlegreen I really want Goten and Trunks too. I was really hoping they would have shown a prototype for them at sdcc. I never liked Vegito and the prototype they showed looked retarded. And I really hope they don't skip any more important characters and make freaking Gotenks. Most annoying character ever! That part of the Buu saga was so hard to watch. I always liked Gogeta better then Vegito and yes, it does make a big difference. They are too very different charecters. I'm probably not alone on this. (And even if they chose Gogeta first rather then Vegito i would still have so many characters i feel we still need first more importantly. I was disappointed with this character choice for the SH figuarts line at this point in time. 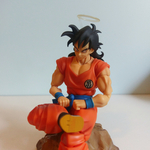 23rd Tenkaichi Budokai is pretty good, but it'd be inaccurate for a Dragon Ball Z toyline. 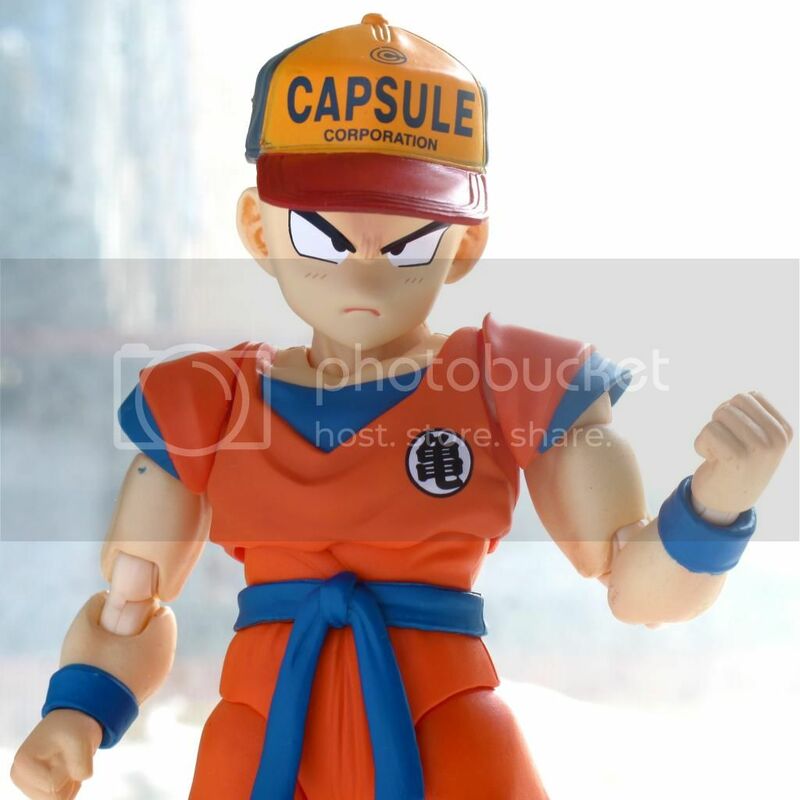 Also, why no interest in Yamcha!? I'd like you guys to consider something. Yamcha is in EVERY SINGLE STORY ARC OF DRAGON BALL. From Pilaf to Buu, he is there! Besides, he does plenty of good in the DBZ series, he's just not quite a 'main' character. Which is FINE, considering they've already made multiple iterations of the main characters! Tien has almost as much longevity as Yamcha, and also is considered by many people to be more useful and important than Yamcha. Without Yamcha, who would the bad guys have to torment??? Oh yeah, Krillin. Hey man, I can tell you there are many people here in the forum that actually want Yamcha, and I´m not talking just about Branjita and me . I know for sure, if he gets announced and if he comes with alternate hair options he would definitely catch other people´s attention. Completing the z fighters is something that I´m pretty sure everybody wants and could not resist doing; some people simply have other priorities that´s why they don´t necessarily want him right now. They need to at least give us Nappa, Raditz, Tien + Chaozu, OR Yamcha in that mix of the next 5. I don't want them to all be Buu Saga releases. I didn't like Buu Saga. If the next 5 were... for example... Kid Buu, Super Buu, Vegito, Goten + Trunks, and Gotenks, I'd be pretty freaking mad. The next 5 probably need to be Tien + Chaozu, Nappa, Yamcha (both styles of hair), Majin Vegeta, and Goten + Trunks in that order in my opinion. If I was in control of planning for Tamashii, that is what I would do. That assortment and order would probably make most of us very happy based on the polls, and be very fair. Yamcha would close out the important Cell Saga cast of characters if they don't think Android 19, Dr. Gero, or Imperfect Cell would sell well enough. I'd sure as hell buy Imperfect Cell if he was cool as hell though, he was my favorite form of Cell. Dr. Gero might sell ok, but 19? I don't know. Dr. Gero could be good to have released after Yamcha so people who like to humiliate Yamcha could put Gero's hand through Yamcha's chest. I'd personally like them to release some Saiyan Saga characters to go with Vegeta before flooding us with Buu Saga figures when DBZ Kai's Buu Saga isn't on TV here yet. After those 5 or 6, they could do Kid Buu, Raditz, Super Buu, kid Gohan (saiyan saga and namek saga hair), then whoever else. I think it would be natural for them to progress into Namek Saga at that point, give us Frieza form 1, Bardock, and Ginyu. From there, Saiyan Saga would be basically complete, and they could alternate between Namek Saga and Buu Saga. Throw in SS2 Goku, the rest of the Ginyu Force, Fat Buu if they think he'd actually sell ok, and then whatever else they want to do. Throw Janemba in there and maybe Beerus somewhere. In June, I was told by Bluefin that Janemba wasn't "main character" enough to have enough following to sell well, and I disagreed. For whatever reason, he has always had a decent following. I don't know why he's my 2nd favorite villain, he just is. In fact, I was told that there weren't any villains other than Buu and Broly that were considered "main" enough to be produced. I think Janemba would sell extremely well, especially if they did a repainted SS3 Goku as the SDCC exclusive. Janemba is a LOT cooler looking than any form of Buu. They could follow him with Gogeta, because you just know they have to be considering him... you just have to know that they must be. He's a saiyan. They'll make him. Janemba is the only villain Gogeta ever fought. I think Frieza form 1 and Imperfect Cell could sell very well. And the Ginyu Force...? I'd buy every single one, they are epically cool and such unique character designs, which is something badly needed in this line of figures, who all visually look human (other than Frieza and Cell). There isn't a complete set of all 5 members at a decent size scale and never articulated well. If they make Nappa, they could reuse some parts from him to make Recoome for all I care. 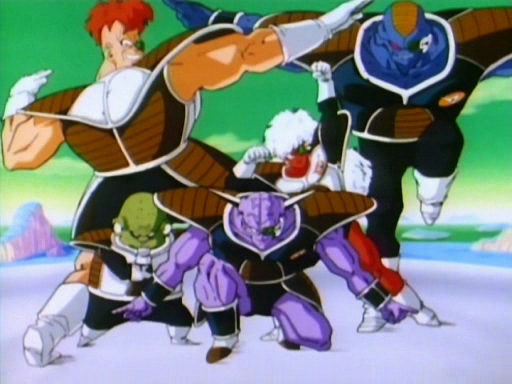 Recoome is a lot taller than Nappa, but I don't care. As long as these 5 guys scale perfectly with each other, you wouldn't hear me whine at all. What's all the Jamemba hype? I watched that movie a while ago, but all I can remember Jamemba saying was "JANEMBA!." I guess he looks pretty cool but that's about it for me. He also has cool, reality altering, cube powers. Personally I think he'd sell better than Cooler or Beerus because I thought the movie was much better than either of those. His wrist armor was completely different from Raditz as well. I honestly don't get all the Janemba hype, either. But to be honest, this is the only site where I've ever even heard people praise him. He is definitively one of the coolest-looking movie villains, but he's also the flattest. He's got basically no character. He's just some mutated worker from otherworld with no backstory or motives. I'll buy him if he gets made because he looks cool. But I will do it very reluctantly. I honestly think the only movie characters that have a chance at getting made are Cooler, Bardock, Beerus, and Whis. I think that Janemba have no reasonable chance to be made. Out of the recent Japanese stuff, there are only a few small figures, two keychains, Real Works release, Vinyl, etc. Bandai didn't didn't even make him in HG, and they made both Cooler forms with his squad, Meta Cooler, both A.13 forms and A.15, LSSJ and regular SSJ Broly, Future Gohan, Turles, and even Tapion, a couple Gogeta but no Janemba. Janemba is just not a generally liked or that well known movie villain, even out of the more popular movies, same with Bojack. Bojack has about as much story as Janemba. Janemba is some mutated worker that is SUPER STRONG because this is DBZ. Bojack is a random space pirate that is also SUPER STRONG. I like Janemba's design more than Bojack's. Bojack is just a pirate gypsy Hulk. Whereas Janemba is a demonic being with interesting powers that are beyond just 'BEAMS'. Broly has more story, however Broly's story is mind-breakingly stupid. Buuuuuuut for some reason fanboys love him. Is it because he's MEGA MUSCLE? I don't know. Cooler has a cool design and a good story in his first movie. In the second cooler movie though it's a bit silly. 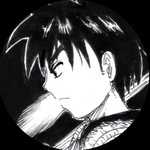 Bardock is acknowledged by Toriyama and has become fairly ingrained into the regular DBZ (first episode of Kai etc), so he has a good chance. Battle of Gods is in a different class to the previous movies. I think characters from that have quite a good chance of being made. Umm... fifth form Cooler. Does it get any cooler? I actually find the fourth form to be a better design, but I certainly don't dislike fifth form. 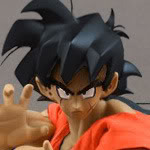 It is pretty badass, and quite different compared to frieza. I feel like the fourth form, being a more normal size, has a better chance of being made, as well as the fact that Meta-Cooler would have the same mold. Maybe an SDCC repaint one day? He's probably cooler as Metal Cooler, he has no body heat.